André Brugiroux – The Earth is but one country. 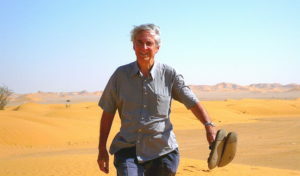 André Brugiroux, who European newspapers have called “the Marco Polo of the modern times”, is the author of the best-selling book in French, “The Earth is but one country”, which describes his epic journeys of discovery and adventure that took me through 135 countries and 400,000 kms over an 18 year period. 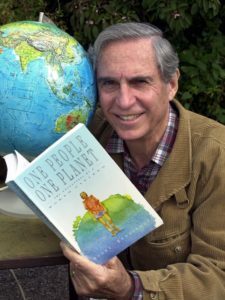 Book printed now in English under the title : “ONE PEOPLE, ONE PLANET“. At the age of 17, André left Paris with 10 francs in his pocket to realize a childhood dream of touring the world : not as a tourist, but rather as a student of mankind. After some years in Europe where André learned five languages, and in Canada to arrange financing, André set out to re-discover the world. 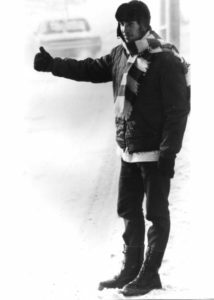 As a hitchhiker on every conceivable type of transportation, living for most part on a dollar-a-day for six years (between 1967 and 1973), André covered the five continents without ever sleeping in a hotel. Noteworthy is André’s visit to Alaska in winter at minus 45°, the Australian desert at plus 50°, to the head-hunters of Borneo, a stay with buddhist monks in Bangkok, in an indian ashram for yoga, a kibbutz in Israel, the smuggling of precious stones in Ceylon and a jail in Costa-Rica (where André was mistaken for one of Che Guevarra’s guerillas) among many others. André slowly reached the conclusion, as a result of his experiences with so many of the world’s people, that, “the earth is but one country and all mankind its citizens”. After this first 18 year-long journey which was the university part of my life on the road, André continued travelling from France for another 30 years. 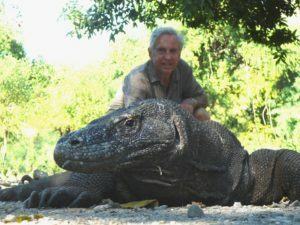 André has now realised my childhood dream: to visit all countries and territories in the world. My last country (n° 251) was South Sudan in December 2011. 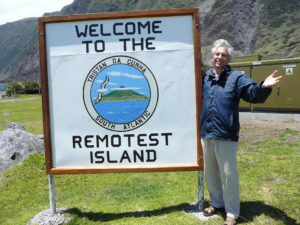 André am just now back from Tristan da Cunha, the most isolated island in the world. André Brugiroux Picture by Jerry Turner. of each month, unless there is a UK public holiday that weekend.